New tool announced: Best Price Radar! 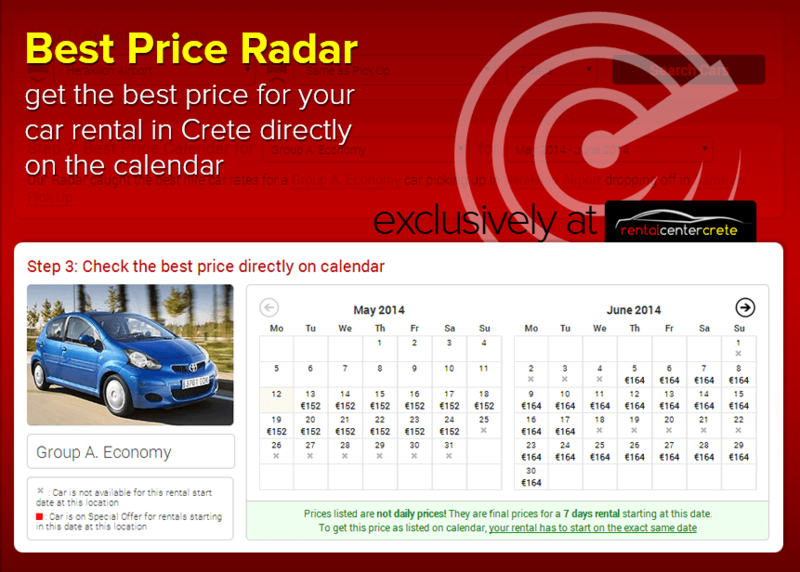 Find the cheapest rental cars for the next 12 months with a single click! All available cars with final prices, including all taxes, all insurances with our premium ‘all-inclusive’ package that only Rental Center Crete offer. Read more about our new tool: Best Price Radar!